New planner pages with new Pink Paislee Turn the Page. 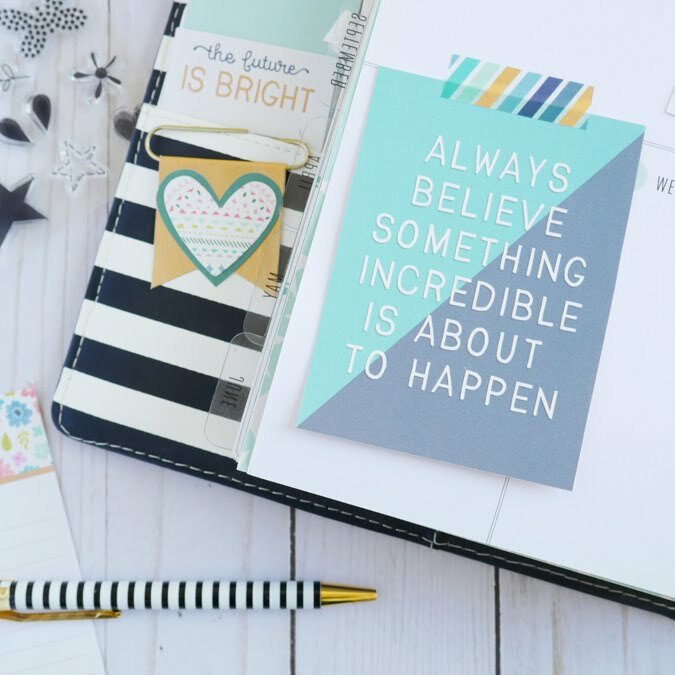 Planner love is alive and well in this creative girl's life. September is here. Already. That means new pages at work in my Memory Planner. 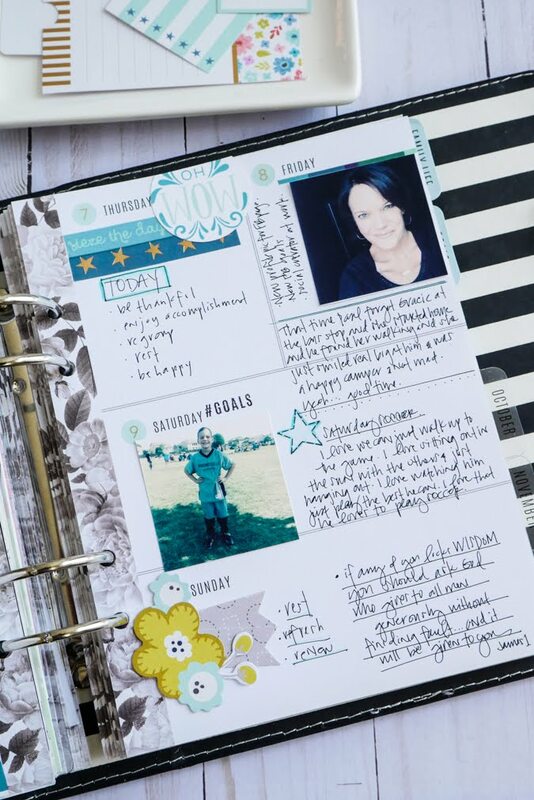 Here I am using the Love Today Memory Planner by Heidi Swapp. 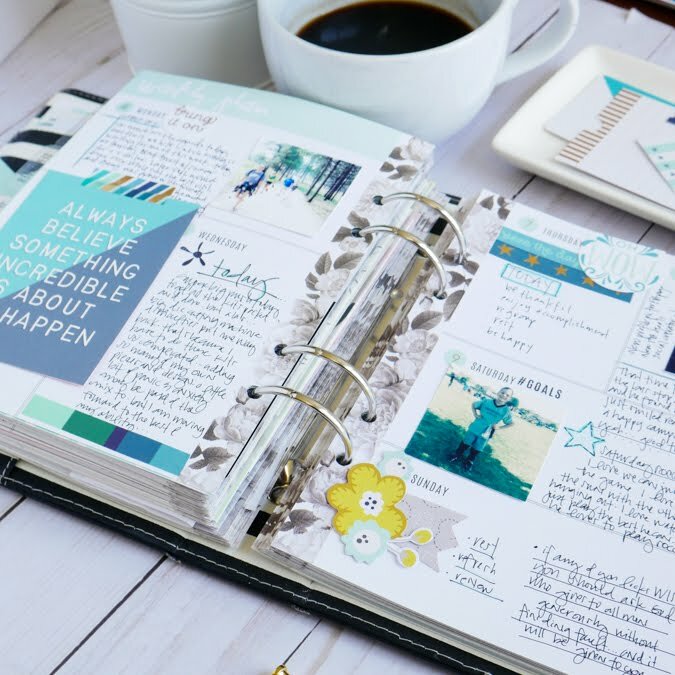 This planner is truly used for the memory keeping aspect of everyday life. The one that keeps the blur at bay. Or at least tries. 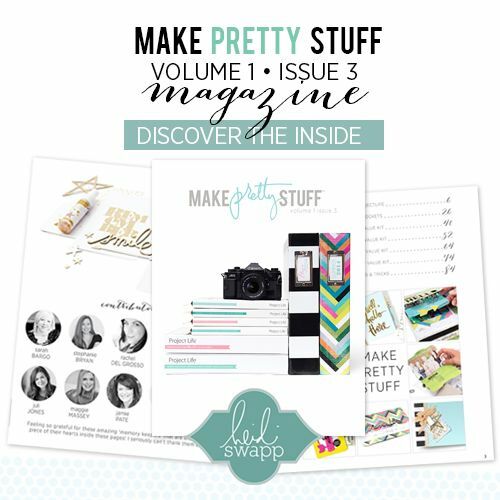 In week one of September's daily pages, I took to breaking out the new Pink Paislee Turn the Page Collection. 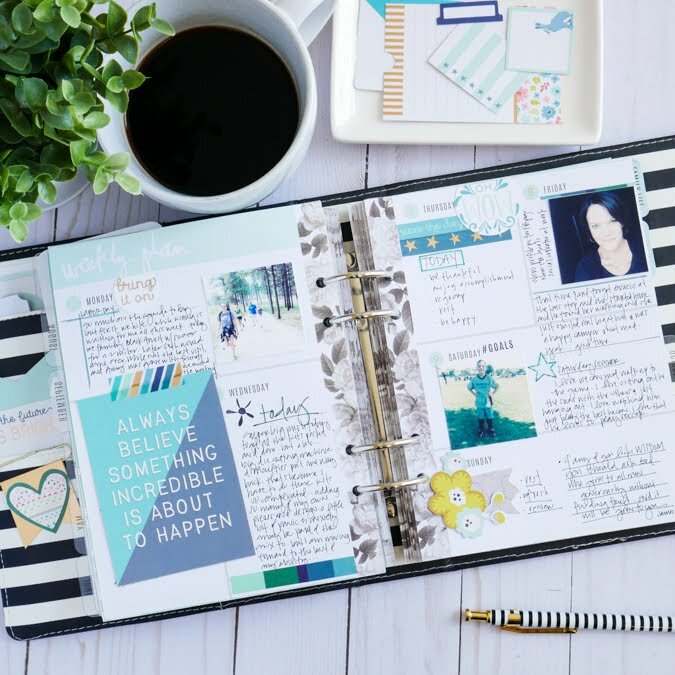 This classic scrapbook collection is a mix of bold patterns and color right along side more delicate hues that include subtle hints of gold. Stars. Flowers. Birds. and Butterflies all find home in this new range. I had to answer the urge to use these pieces on my planner pages. Even if it was a scrapbook collection. It was actually super easy to add Turn the Page to my planner. 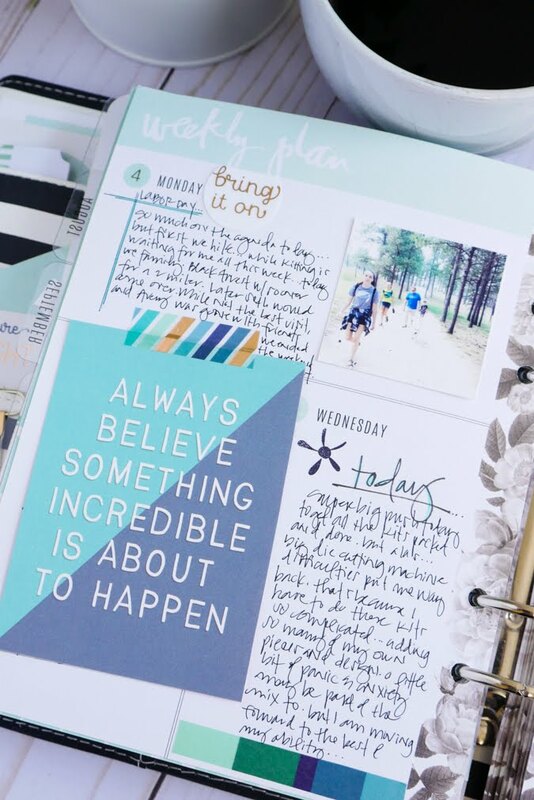 As shown above, the 3x4 cut-away was an easy addition plus bold statement to a week that needed some encouragement. It also provided space for some hidden journaling. 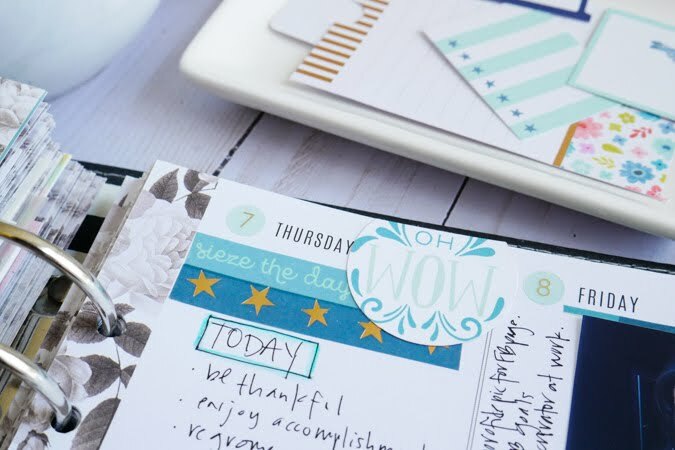 I love to add these interactive pieces to a planner page. Turn the Page includes a great set of washi stickers. I use washi all the time on my pages. Everything from holding in place an interactive card or simply to give a border to a day. Pretty sure I can't live without washi. What about you? Stamps. I love stamps. Turn the Page includes a great stamp set that includes iconic images plus layerable stamps. These are must have. I'm telling you. But then again, I surely have a weakness for stamps. Tell me I'm not alone. Layering embellishments is just my thing. It's a go-to technique found very often on my paper craft projects. With pattern paper and some Ephemera flowers it was easy to add a little creative element at the bottom of this page. The yellow was a perfect pop of color. Not too much. Just enough. 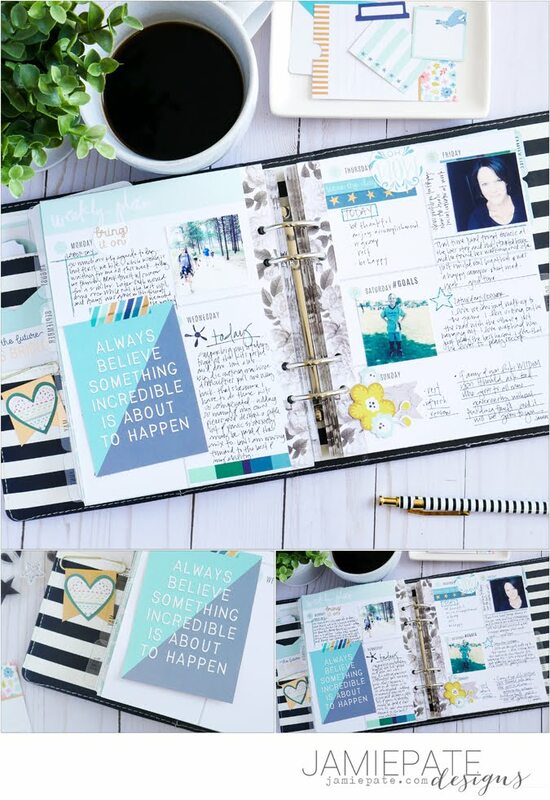 Lastly, one way I used this fresh scrapbook collection on these planner pages was by layering several pieces of the washi sticker plus a circle-punch phrase from one of the pattern pages. This was a great way to bring emphasis to a day. A day which for me needed a little celebrating. It was enjoyable to put this page together. (Who am I kidding...it's always enjoyable to find time for my planner.) 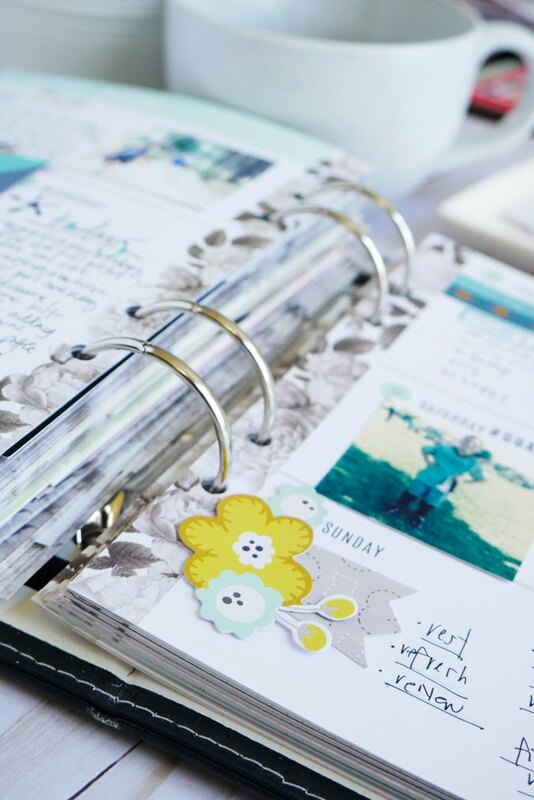 To use a scrapbook collection and turn it into Memory Planner embellishments. To create a feel on a page that came from the simplicity of a single theme of paper and elements. And not only that, to get that blur down on the paper if only to help slow things down just a bit. 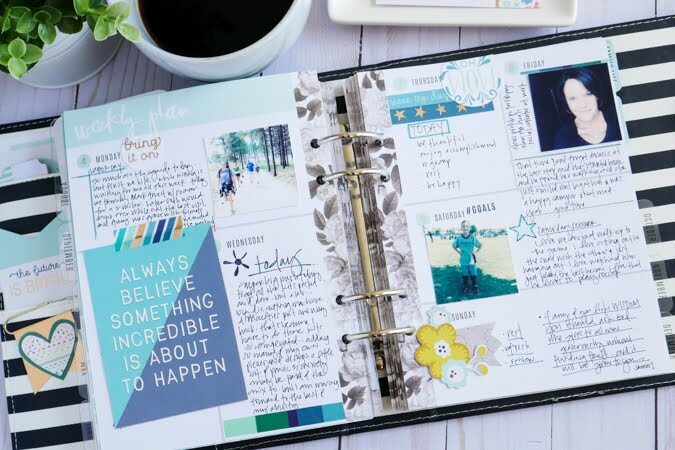 Do you like to add scrapbook collections to your planner pages? If so, which ones are your favorites? I would love to know. If you enjoyed this post please feel free to pin this image. 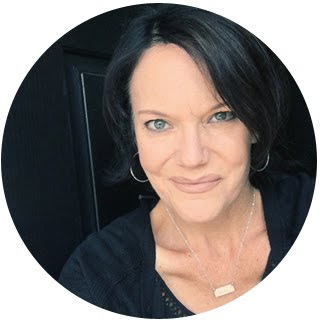 supplies: Paige Taylor + Pink Paislee Turn The Page. 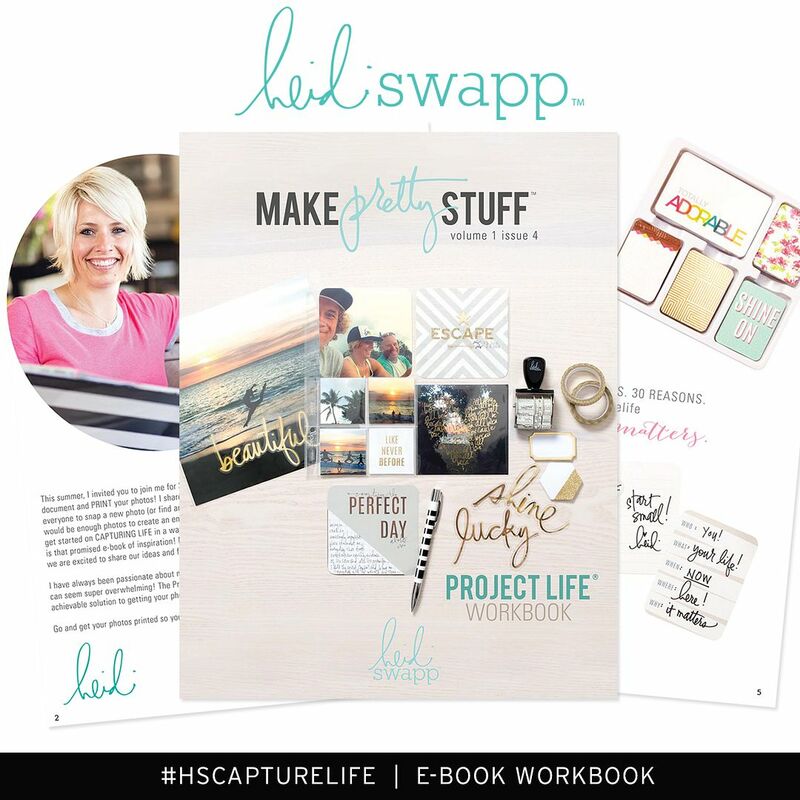 Heidi Swapp Love Today Memory Planner.